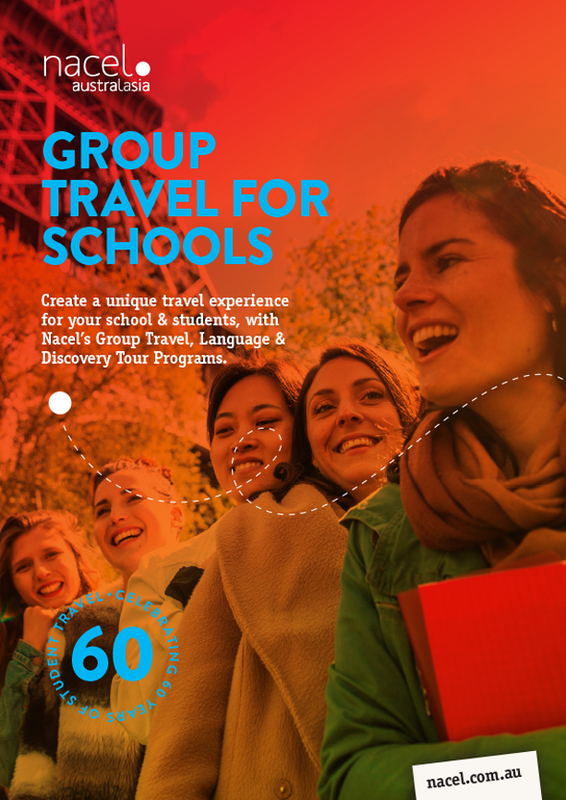 Nacel Australasia prepares tailored Group Travel programs to suit your school’s specific curriculum, area of interest or sporting needs. We work with you to understand your individual requirements and then prepare a unique itinerary and travel plans for your Group Travel. 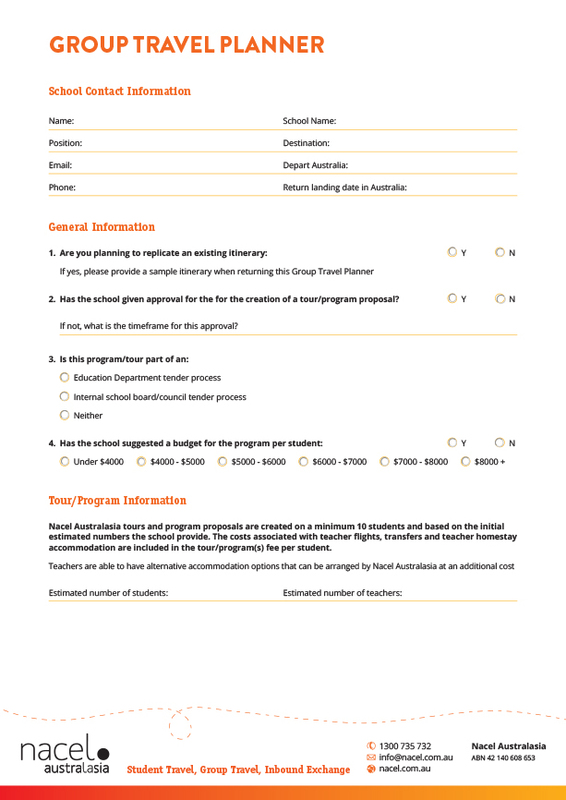 Group Travel programs can be created to cater for as few as 10 students or groups of over 50. With all of our group travel programs teachers travel free, eliminating any costs to the school and keeping teachers focused on their students and the academic benefits of the travel program. Some example Group Travel programs follow. Can be tailored to any length, 1 week to 1 year. From 10 to 100 plus. Traditional host family, hostel/hotel accommodation or a combination. The program fee per student is based on total number of participants, number of escorts, program duration, and optional tours. Nacel Australasia guarantees our price per student, however, third party suppliers pricing is subject to change as we organise group programs up to 12 months in advance. Nacel Australasia can arrange tours of any duration, which can be incorporated into the program at the beginning, end or as a stand-alone tour.